On Thursday March 2nd, 2017, at 11:30 a.m., author, historian, and journalist Jelani Cobb will speak at Southern Utah University for the annual Grace A. Tanner Lecture in Human Values. It will take place as part of SUU Convocations in the Gilbert Great Hall of the Hunter Conference Center. Dr. Cobb has entitled his talk “The Half-Life of Freedom: Race and Justice in America Today.” The lecture will be followed by an audience Q&A and a reception. Cobb was awarded the Hillman Prize for Opinion and Analysis Journalism and at the prize ceremony in 2015 journalist Hendrik Hertzberg described Cobb’s work as combining the “rigor and depth of a professional historian with the alertness of a reporter, the liberal passion of an engaged public intellectual and the literary flair of a writer.” Cobb teaches in the Columbia University Graduate School of Journalism. He is also a staff writer at The New Yorker, where he has penned a remarkable series of articles about race, the police and injustice. 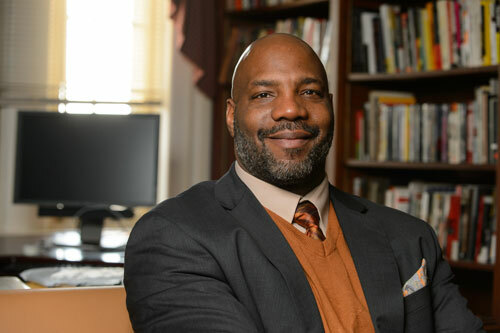 His articles include “The Anger in Ferguson,” “Murders in Charleston,” and “What We Talk About When We Talk About Reparations.” Cobb was formerly an associate professor of history at the University of Connecticut, where he was director of the Africana Studies Institute. Cobb has published several books including, Substance of Hope: Barrack Obama and the Paradox of Progress, To the Break of Dawn: A Freestyle on the Hip Hop Aesthetic, and The Devil & Dave Chappelle and Other Essays. Later in the day, the Tanner Center will host “A Conversation with Jelani Cobb” at 2:30 at the Southern Utah Museum of Art. This extended Q and A will be moderated by Professor Earl Mulderink, Director of Black History Month at SUU and author of New Bedford’s Civil War. The Grace A. Tanner Center at SUU seeks to promote access to scholarly and scientific learning in all areas of human values which embrace moral, artistic, intellectual, and spiritual concepts.